Both the Oppo AX7 Pro and the Oppo K1 are premium and affordable smartphones that were launched by the company. Both phones feature similar design both on the front and back and they also have impressive cameras as well. Choosing one out of the two can be difficult or you might also be wondering which one will perform better. In this post, we are going to compare the Oppo AX7 with the Oppo K1 smartphone. On the design, the Oppo AX7 Pro and the Oppo K1 are both built with both metal and glass material. They also measure the same 75.5 mm x 158.3 mm x 7.4 mm and weight 156 gram. They have an onscreen fingerprint scanner for security and they are available in Blue and Red colors. Even on the display, both phones also features the same display size as well. They have a screen size of 6.4 inches Full HD+ with a resolution of 2340 x 1080 Pixels and 403 PPI density. They are both equipped with an AMOLED capacitive touchscreen and they have a similar screen to body ratio. The Oppo AX7 Pro has a corning gorilla glass 6 while the Oppo K1 has a corning gorilla glass 5 protection. The Oppo AX7 Pro and the Oppo K1 has the same dual rear cameras of 16 Megapixels + 2 Megapixels with Dual-tone LED flashlight and both cameras can also shoot 4K videos quality. On the front, they also have the same front facing camera of 25 Megapixels with F2.0 Aperture and Face recognition features as well. On the hardware, you will also be getting the same specs as well. Both the Oppo AX7 Pro and the Oppo K1 have the same Qualcomm Snapdragon 660 MSM8976 Plus chipset with an octa-core processor that clocked at a speed of 2.2 GHz. They have Qualcomm Adreno 512 GPU for graphics related issues. On the memory, the Oppo AX7 Pro has 4GB RAM and an inbuilt memory of 128GB which is expandable, while the Oppo K1 has 4GB and 6GB RAM with internal memory of 64GB which is also expandable via micro SD card. Both phones are powered by Android 8.1 Oreo operating system and they have support for dual SIMs and 4G data. The Oppo AX7 Pro and the Oppo K1 has the same nonremovable battery capacity of 3600 mAh with fast charging technology. On the price, both phones will start selling under $500. 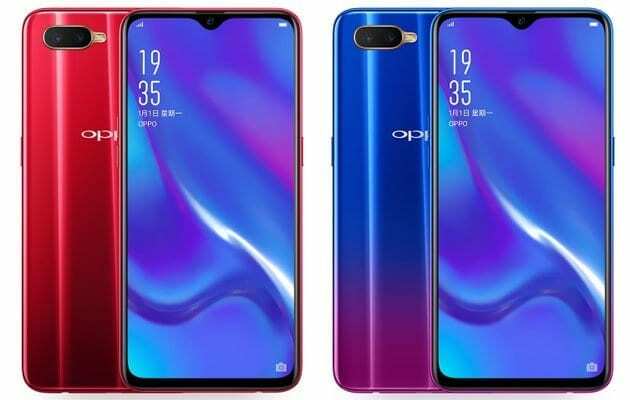 As you can see, there are no much differences between the Oppo AX7 Pro and the Oppo K1 smartphone. They are almost the same phone with different branding. The Oppo K1 only has an edge on the 6GB RAM which will enable to a phone to slightly outperform the later. The Oppo AX7 Pro, on the other hand, has an edge on the 128GB which is against the 64GB on it’s rival. So they will be selling in the same price bracket.